New KAM Sponsor: Houston-Johnson, Inc. Offers Cost-Effective Solutions to Help Automakers Improve Productivity and Reduce Total Cost Frankfort, KY – September 22, 2009 – Houston-Johnson Inc. of Louisville, Kentucky has become an official sponsor of KAM’s “ProsperousKentuckySM Branded Initiative” to help protect and create a manufacturing friendly environment in the Commonwealth of Kentucky, according to Jim LeMaster, President & CEO of KAM. 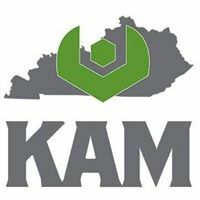 “We are very happy to announce that Houston-Johnson is a new sponsor of the Kentucky Association of Manufacturers,” said Jim LeMaster, President & CEO of KAM. “Houston-Johnson is dedicated to increasing the profitability of Kentucky’s automotive industry and the prosperity of all Kentuckians.” Manufacturers and Tier 1 suppliers are constantly looking for strategic ways to increase productivity while reducing total costs in order to maintain vitality as the market attempts to stabilize. As a leader in the materials management and logistics Industry, Houston-Johnson, Inc. (HJI) employs a systems approach that optimizes the cost-benefit ratio to help deliver such improvements by listening and responding to customer demands. In the recent years, through product intelligence, HJI learned that industrial cleaning can have a major impact on both the bottom line and the productivity of the automotive marketplace. In an effort to address and resolve these difficult challenges, HJI introduced Dry Ice Blasting Technologies. Our philosophy of being “more than just a distribution company permeates throughout our corporate office, management team and our staff,” said Derek Bland, Vice President of HJI. Dry Ice Blasting fits perfectly within this concept. Through our relationship with automotive manufacturers and suppliers, we have gained and developed skills and core competencies that afford us the knowledge of delivering products and services that assist customers with productivity initiatives and as well as improving their total costs. HJI now offers through its subsidiary company, Dry Ice Blasting Technologies, one of the major innovations in the sector of industrial cleaning. This process removes depositions such as glue, oils, grease, bituminous materials, adhesives, layers of corrosion, wax, printing ink, PU layers, weld slag, food residue, encrustations, carbon build-up, smoke damage, graffiti, etc. without damaging the substrate surface. This process is useful on fire and mold remediation projects as well. The advantages of using dry ice versus the more conventional cleaning methods like pressure washing or sandblasting, include there are no disposal requirements, it is environmentally friendly, and it minimizes or eliminates the need for downtime which means increased productivity realized by the customer. HJI customers have been able to realize significant savings to their bottom-line by introducing this technology to their process. Reorganized in 1991 and currently owned by Wade and Alice Houston, Houston-Johnson, Inc. (HJI) is a Louisville-based, minority and woman owned and ISO 9001:2008 certified enterprise with a history in the logistics, warehousing and materials management industry. HJI offers a complete array of services that provide a seamless flow of products and information across the supply chain. HJI’s growth in the warehousing and inter-modal arenas has given them the opportunity to become a long-term integrated logistics partner with a variety of major companies. HJI has the experience, knowledge and technology to ensure its competitiveness in the world of 3rd party logistics. Houston Johnson Inc. is a Tier 1 supplier to clients such as Ford Motor Company, Johnson Controls, and Lear Corporation. HJI has supplied logistic services to several of the largest automotive parts suppliers, either as a Tier 1 or Tier 2 suppliers. These automotive suppliers contribute 85% of the automotive parts to the American Big 2 and Daimler-Chrysler. These parts include drive shafts, door panels, running boards, shocks, pcm modules, and various other automotive parts which directly support on a just-in-time, broadcast, and daily order fill the strenuous demands of the daily production environment. HJI’s experience has been primarily focused within the Automotive Industry. Through its relationship with automotive manufacturers and suppliers, they have gained and developed skills and core competencies that have proven transferable to many industries. The experience of HJI in receiving, storing, shipping and managing a variety of supply chain functions has enabled them to meet and exceed customer expectations and introduce new ideas to help achieve company goals. It is this type of diversity in perspectives and thought that breeds excitement when approaching new projects. At HJI, they are truly “People Providing Peace of Mind”.